Great news for people with chubby wrists - there's now a range of bigger Apple Watch straps on offer from the Cupertino giant. 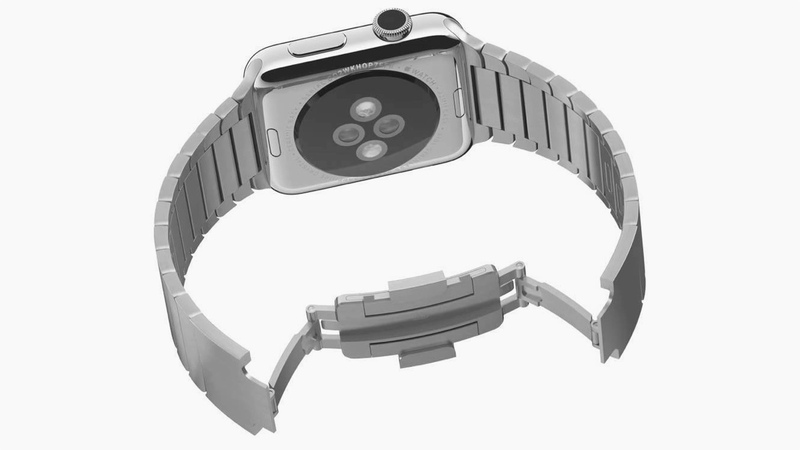 Great news for people with non-chubby wallets - there's a Kickstarter campaign about to kick off that offers up stainless steel straps for the Apple Watch at a much more reasonable price. Let's start with the former and, not only is Apple offering up a link extension kit for the stainless steel edition - an extra 40mm from 6 additional links - there's also now a L/XL pack for the Sports model, for wrists from 160-245mm. The 42mm Link Bracelet Kit, to give it its official moniker, costs $49 though - adding more cash onto what was already an already expensive purchase. So, step forward HyperLink and its $49 band - made from the same 316L stainless steel alloy used on the official Apple straps, we're told. The official Apple Link Bracelet costs, a quite frankly ridiculous, $449 and HyperLink claims it only costs $2 to make. Ouch. Available in three different models: 42mm Silver, 42mm Space Black and 38mm Silver, the HyperLink strap will have an RRP of $99, the lower price is the early bird Kickstarter special. The campaign launches on 25 August and shipping is planned for October.